IBM SPSS Statistics is an analytics and data mining software that enables users to conduct basic and advanced statistical analyses using readily available data. The platform uses a drag-and-drop interface, making it easier for users to create reports, charts, tables, and many other data visualizations. In this article, we cover user reviews and pricing. Ready to get started with IBM SPSS Statistics? Get a free trial. Users who gave IBM SPSS Statistics a positive review commented that the simplicity of the software makes research more convenient, even for students. Other users said that the platform does not just offer basic statistical reports but also provides advanced data mining using logistic regression, generalized additive models, and more. Users who gave IBM SPSS Statistics a negative review said that the interface needs improvement. Many users noted that you have to first learn how to manually do statistics or at least have a background of the subject for you to understand and appreciate the app. 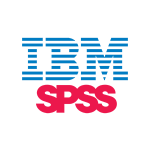 IBM SPSS Statistics has one base product starting at $99 per user per month. They also offer three add-ons that users can purchase with the base product or buy later on: Custom Tables & Advanced Statistics Users ($79/user/month), Complex Sampling & Testing Users ($79/user/month), and Forecasting & Decision Trees Users ($79/user/month). 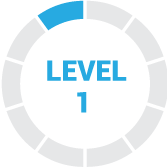 Ready to get started with IBM SPSS Statistics? Get a free trial. What type of support does IBM SPSS Statistics offer? 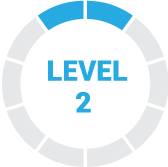 IBM SPSS Statistics offers four kinds of support: email, phone, live chat, and training. What devices does IBM SPSS Statistics support? 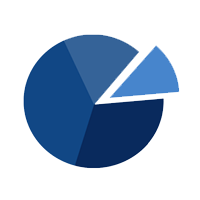 IBM SPSS Statistics can support the following devices: Mac, Windows, and Linux. Not sure if IBM SPSS Statistics is the right fit for you? Read our reviews of all top analytics software providers or check out one of these three IBM SPSS Statistics competitors. Great menu-driven easy to use software to use in class for statistical methods and data analysis. Students really love it. There are a lot of new data mining techniques added in to the menu and the results and output are easy to read and understand. Lots of built-in functions to manipulate and clean data prior to analysis. Great statistical software. Maybe some additional statistical methods can be added to make it more robust. SPSS doesn’t handle large datasets very well – if you have over 10,000 records, the processes slow down considerably. This is something that can be enhanced to improve the utility of the product in today’s data-driven world. Nothing really, except for the shortcoming regarding handling of massive datasets as mentioned above. Personally have used SPSS for various projects over a span of years and it has made statistical analysis as well as organization of data much easier and efficient. SPSS is a very powerful statistical software with TONS of GUI options and virtually unlimited capability if you can use the coding portion. The documentation for SPSS is relatively sparse in my experience, although there are tons of resources all over the web (which may be why their own documentation isn’t very extensive). The learning curve is quite steep, but again, there are a massive amount of resources available. Rather than trying to just jump in (like I did), it may help to check out a few introductory articles and/or videos so you know what you’re getting into. Of course, statistical knowledge is essential to using this software effectively. It allows me to handle a large amount of data of different variables that will be used in project management and public planning, calculating basic statistics such as media, fashion, variance and more specific elements, such as the main component. It is an expensive software, for beginners it is not so easy to use, the graphic output that I do not like is very basic and unattractive for those who read the results. What I like the least about SPSS is that it is not easy to use, there are very complex functions to decipher and, in general, it is not available for any mathematical use.